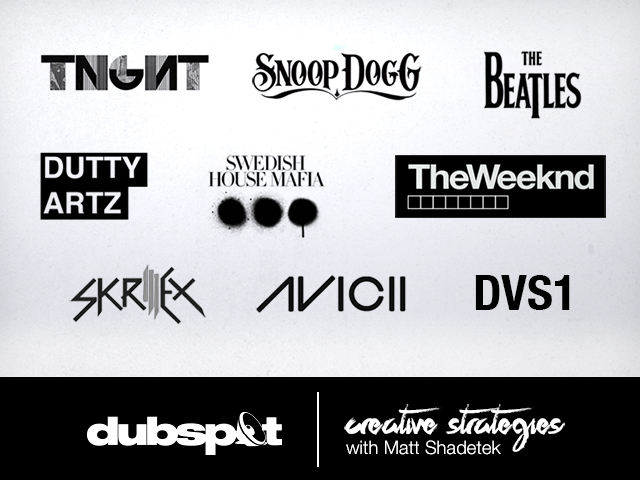 In this creative strategies article, Logic expert and Dutty Artz label owner Matt Shadetek offers some sound advice on how to choose an artist name that is both memorable and true to your identity. When getting started in music, or launching a new project, people often struggle with choosing a name. It feels like a big and important decision. In one sense it is, and in another it isn’t. The thing that many people worry about is whether the name they have chosen is in sync with their persona. I think that, while this is a concern, it’s not as important as you think. Think about how names work in our mind. What does the name Snoop Dogg bring to mind? How about Snoop Lion? You think of his face, his music, his persona, the experiences you’ve had around his music, and the feelings you have about his work. Do you think of the peanuts character Snoopy? Do you think of an actual dog? I don’t. Let’s try another one: The Beatles. Many would argue they are one of the greatest, if not the greatest band of all time. I’m not here to debate their place in history, but I personally have many happy memories of listening to their music, especially as a child. 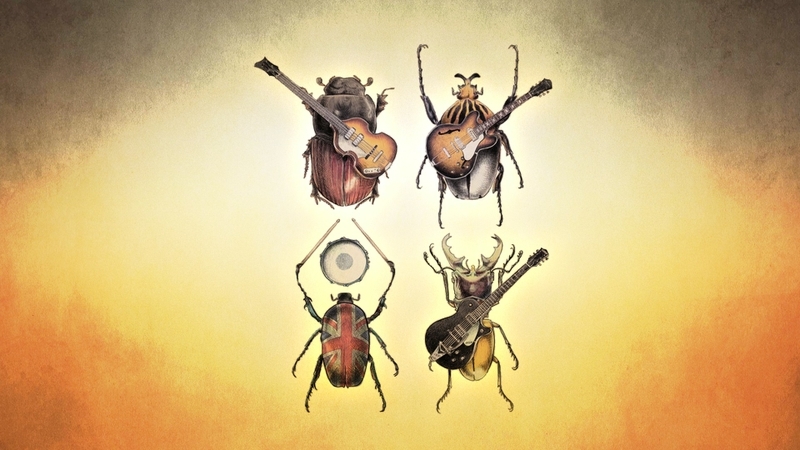 Let’s unpack the name: are beetles, the actual insect cool? I guess so. My three- and four-year-old sons, and a few entomologists think so, but that’s about it. Is a pun between beat and beetles cool? Definitely not! It’s pretty corny as names go. Does this diminish our enjoyment of their music or their significance in the culture? Not in the least. In my experience, a name is simply an address where I store memories and feelings related to the artist in question. In other words, once you get to know an artist, the name quickly takes a back seat to the actual experience of them. Just get on with it. Pick something, commit to it and live with the consequences for the rest of your artistic career. As long as it’s not wildly offensive, and doesn’t mean something horrible in another language, you’ll be OK. Take this last point seriously: ff you’re going to use a made-up combination of syllables, do some research to make sure that you don’t get bottles thrown at you when you walk on stage in a foreign land. 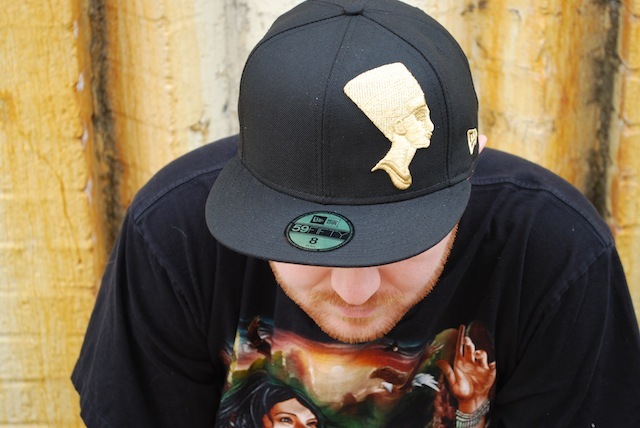 Or take the example of hip hop artist 2 Chainz, formerly known as Tity Boy. Given his national stature, you can imagine what a struggle it would be to push forward with a name that refers colloquially to women’s body parts. It’s tough to imagine Katie Couric saying “So Tity Boy, tell us your story.” In fact, his original name is a southern colloquialism that means something similar to mama’s boy and isn’t considered offensive. It’s endearing if you know what it means, but I’m sure that many radio announcers, venue owners, and magazines would disagree. 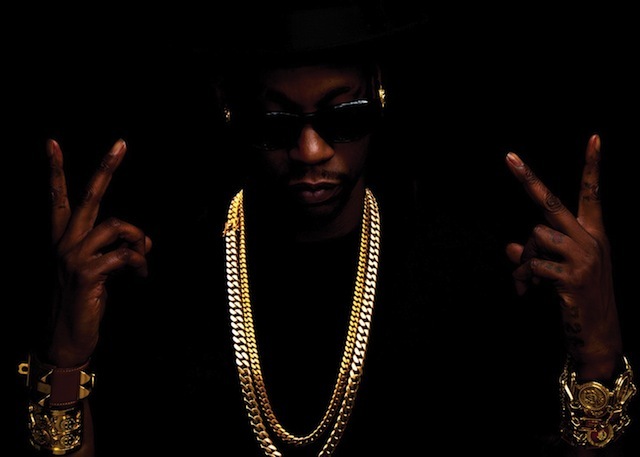 2 Chainz made the transition fairly smoothly, because he started the transition before he rose out of the rap underground, and allowed the two names to overlap as people learned the new moniker. Google it. Corporations used to hire identity consultants to vet and research brand names, but today we have a much easier alternative. Googling a potential name is a great way to dodge a whole list of potential problems. It will make you aware of any potential conflicts of identity, or popular uses of the term in other languages. Another thing you’ll discover is whether this name will be easy to find using Google or other search engines. This is a big deal: search engines are everyone’s first stop to find out anything about anything. If you choose a name that is search engine hostile, you’ll make it much harder for people to find and connect with you online. Making it easy for people to find you with search engines, most often Google, has become an entire industry called Search Engine Optimization (SEO). The goal of SEO is to make you appear higher on search engine result pages (SERPs) for a given search term, and therefore get more clicks on your web properties than the other guys. Let me give you an example of a very bad choice of name for SEO. There’s a guy in London who makes awesome house music. His name? Apple. Yeah. Trying to find this guy on Google is very, very challenging. The only way to do it is to keep adding keywords to make your search term more specific. Let’s try a few: Apple Music? iTunes and iPods. Apple London? Apple stores in London. Apple House Music? Getting warmer but still lots of trash. Finally, if you type in Apple UK Funky House Producer, you may find the man you’re looking for. Needless to say, this is not what you want. A simple Google test of a name you’re considering will show you if there’s a problem. It will also reveal if there’s another artist out there using the name you want. Even with names that seem unique, you’ll be surprised how many random bands, side projects, and one-offs are out there cluttering up the name space. You definitely don’t want to go through what Common, formerly known as Common Sense did. After a legal struggle with a rock band of the same name, he was forced to drop “Sense” from his name, and go through a public re-branding. 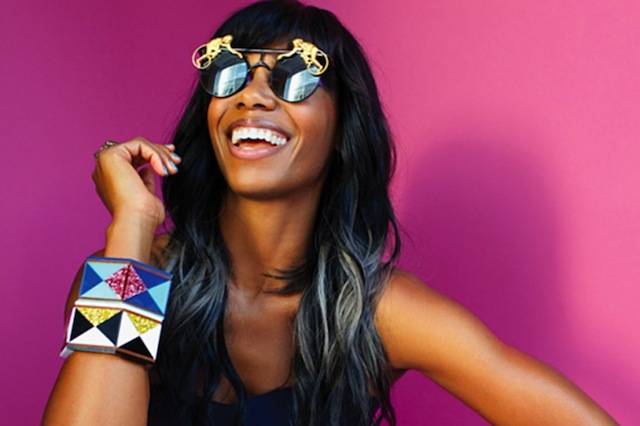 A similar thing happened to the artist formerly known as Santogold, now Santigold. It’s hard enough to build name recognition without having to change names in the middle of your career. If you see someone using the name you want, you’ll need to come up with either an alternate spelling, like Santigold did, or just choose something else. As artists seek out unique, easily searchable names, the trend of creative spelling will only increase. This explains the recent rash of vowel challenged acts (TNGHT, The Weeknd), and other acts substituting similar sounding consonants in their names. Instead of Matt Shade Tech, I use Matt Shadetek. Google problem: solved. My label is called Dutty Artz instead of Dutty Arts. Aside from the rebellious joy of teenage misspelling, these choices serve the important purpose of massively lowering the competition in search engine results. Just bear in mind that you should choose something easy to yell in someone’s ear in a noisy night club–having to spell out your carefully misspelled name filled with dollar signs and non-phonetic characters gets old fast. Once you’ve settled on a name, there are a few things I recommend. Register the .com web address for it, whether you have a website ready or not. Owning the domain will save you a the headache of dealing with domain squatter blackmail if you start to get famous. Also register the name on any social media platforms you think you’ll use. If at all possible, it’s better to be @mattshadetek than @mattshadetekmusic or @mattshadetek23. Choose carefully and do your research, but don’t get bogged down in obsessing over the perfect name. It’s far more important to choose a name, register the virtual real estate and get to work spreading that name far and wide. The more time you waste worrying about the perfect name, the less time you’ll spend building your following and connecting with your audience. Now get to it.